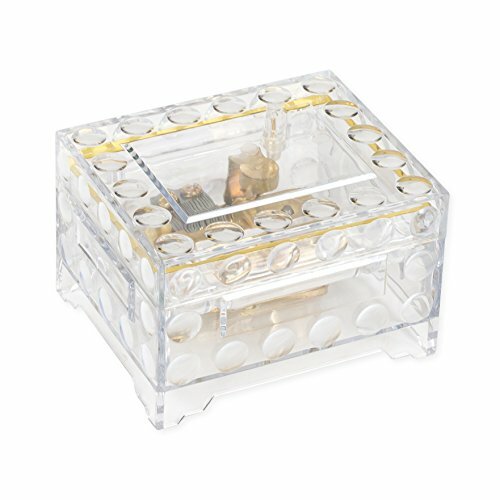 Musical home accent is made of clear acrylic material; View the musical elements move while playing tune. Traditional wind-up mechanism engages music; Plays melodic tune Edelweiss. Perfect size to display on side table top or nestle in a shelf arrangement. Music box measures approximately 3 x 3.5 x 2 inches. Ships in custom fit box and protective packaging. Manufacturer: Splendid Music Box Co. Publisher: Splendid Music Box Co. Studio: Splendid Music Box Co. If you have any questions about this product by Splendid Music Box Co., contact us by completing and submitting the form below. If you are looking for a specif part number, please include it with your message.